You’ve finally picked your student house, signed your tenancy agreement and cannot wait for the prospect of living with your best friends, but then comes the awkward bedroom chat, who’s going where? To avoid stress, arguments and even panic, make sure you sort out your rooms early and make sure you do it fairly. We’ve put together the ultimate guide to selecting rooms, with the low down on all different types of rooms, and come up with some easy and fair selection techniques… some more adventurous than others! Step one: decide what room you’d pick, if given the choice. Although to avoid disappointment, you might not like to have a pre-set preference on rooms before the big selection, it is a good idea to know roughly what sort of room you'd chose, if given the choice. Every room has its pros and cons, but which out-scale the others? The horror stories that come with the dreaded ground floor room (burglars, damp, noise) are enough to put anyone off choosing this room as their own, that and the fact that everyone expects you to answer the door every time the bell rings. However there are definitely some perks to living on the bottom floor. Normally, this bedroom is bigger than the others, due to extra space on the ground floor, and it definitely is the most sociable room in the house, it’s close to the lounge, the kitchen, and anyone who visits always pops in to say hi. There are a lot of positives about having a room on the top floor of the house, it will normally have a lot of character, slanted roofs, skylights, maybe even a view, and you definitely won’t get woken up by drunken housemates stumbling past your door in the middle of the night. However, the top floor rooms are prone to being a bit smaller, maybe colder, and definitely make sure you check that the wifi signal reaches the top! There are huge perks to always being the first in the shower, having full use of the bathroom mirror, and being able to nip to the toilet without going up a flight of stairs. However, there is a large possibility that the noise from the taps and the water pipes will eventually get on your nerves, that, or your housemate belting out a song in the shower while you’re trying to study. The small room always seems to be talked down, being deemed the ‘box’ room or ‘the cave’, however these rooms are extremely cosy and will never get cold! But make sure if this is your room, you’ve bagged yourself extra storage space somewhere else in the house. 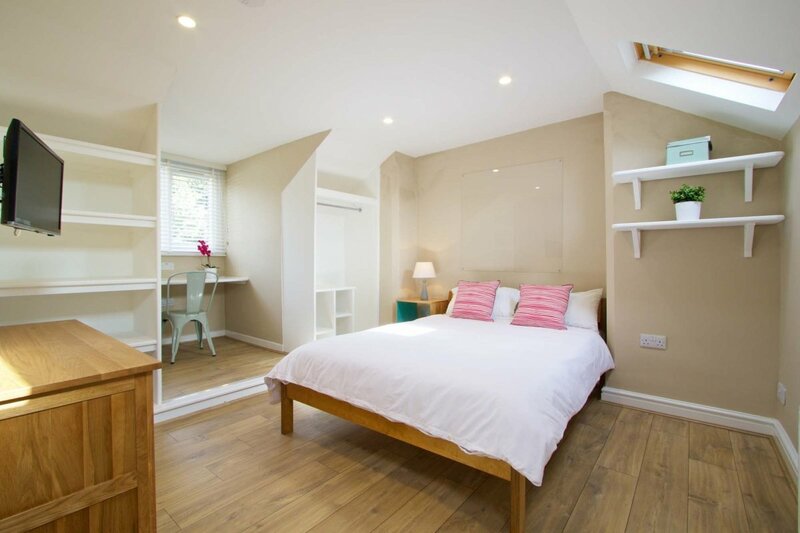 Having the large room is everybody’s dream, it's the most spacious bedroom in the house and after a cramped year in halls, it's definitely something to boast about (and something for small room owners to be envious about). However, these rooms can be hard to heat and need to be filled with character to avoid feeling empty and unhomely. If you’ve managed to bag yourself an en-suite then don’t even think about complaining. No waiting to shower, no waiting to brush your teeth, a whole bathroom to yourself... But be warned, for some houses with only one other bathroom, the en-suite is communal too, so there’s a high chance that people will be traipsing back and forth through your room in order to use the bathroom. Step two: Delegate the rooms. In an ideal world, everyone would get their preferred rooms, however, inevitably most of your future housemates will be after the same one, so here are some quick and fair ways to decide who gets what. a) Simply number the rooms in your house and then pick these numbers out of a hat – whichever number you get, that’s your room. Discussing who gets what room should definitely not be over looked, you might find that there is only one person in the house who wants the bottom floor room, or someone else is dying for the top and the rest of you just don’t mind, so delegating rooms will become easy and stress free. In some student houses, there are some rooms that are significantly bigger than others and splitting up the rooms by price based on their size is another good tactic. There might be some people in your house who are prepared to spend more in order to have a bigger room, working in the favour of those who want to cut down costs – it’s a win-win. Surprisingly, there have been stories of people who were so undecided on rooms, their solution was to switch rooms throughout the year. Packing and unpacking all your belongings is a nuisance to do, especially more than once, but if there are some people who are really unhappy with their room, switching half way through the year could solve that problem. Finally, there was a story about a group of freshers who, after choosing their house, arranged a running race from the middle of their Halls, all the way to their future home. The concept was simple, first come first serve, and their placement in the running race determined their order choosing rooms. Obviously not every student will be willing to run across a city in order to bag themselves the best room, but the winner of that race definitely deserved it. 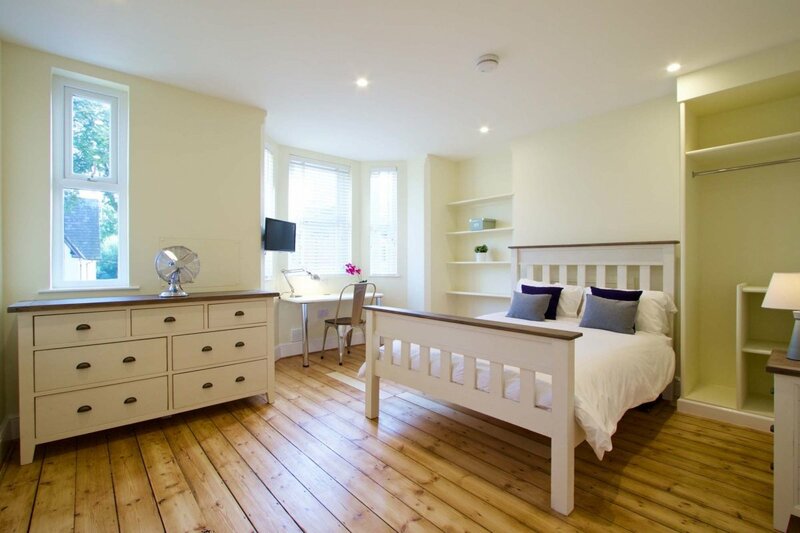 Student Cribs provide some of the best student houses in the UK. 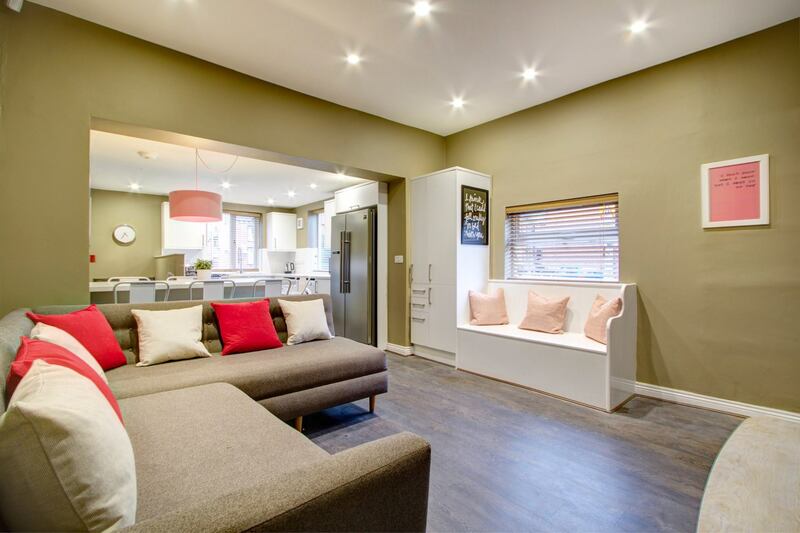 Our houses are available for viewings from as early as September 1st, so book early to make sure you don't miss out!